Utility regulators this month made permanent a 37 percent increase in energy rates sought by Municipal Light & Power, the Anchorage-owned electric utility, while rejecting a plan that would have spread the rate increase out over a longer period of time. The increased rate has been in effect since last year. 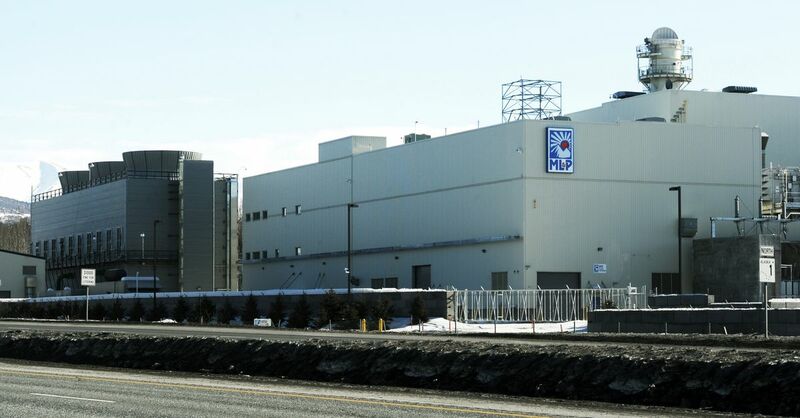 In the decision, announced Monday by ML&P, the Regulatory Commission of Alaska also decided ML&P was judicious in building the $306 million Plant 2A, the driving factor behind the rate increase. A handful of large ML&P ratepayers, including Providence Health and Services, had questioned whether the new plant was necessary. Between the age of ML&P's generation fleet and associated maintenance and repair problems and the "likelihood of increasing problems including catastrophic failure," Plant 2A made sense, regulators wrote in the 70-page order. Construction of the plant started in 2014 under the administration of Mayor Dan Sullivan. Had the RCA rejected ML&P's rate request, ML&P would have had to refund to customers the amount it has collected since raising rates more than a year ago. The average customer saw a 19 percent hike in electric bills. But that money, which was put in an escrow account, will now be used to pay off Plant 2A, said Mark Johnston, the general manager of ML&P. He said the utility could go back and ask for a lower rate in future years as the plant is depreciated. Johnston pointed out that while the rate increase affected the energy part of the customer's bill, the new plant has led to savings in fuel costs. "We have the lowest rates in the Railbelt, lower than all the other utilities put together," Johnston said. The RCA declined a move by ML&P to spread out the rate increase over time, which would have resulted in a 14 percent rate hike for the average customer. Regulators said the proposal would have violated rules against retroactive ratemaking. Johnston said the RCA ruling does not particularly affect Prop. 10, a proposal on Anchorage's city ballot to sell the utility to Chugach Electric Association. Voting in the election ends Tuesday. Julie Hasquet, a spokeswoman for Chugach Electric Association, said the utility didn't have comment Monday. It wasn't clear whether the RCA decision would be appealed. A spokesman for Providence Health and Services, one of the major intervenors in the case, said Providence was analyzing the ruling and would decide if there would be any next steps. Clarification: The headline and first paragraph of this story have been edited to more clearly reflect that the ML&P rate increase was already in effect, and the RCA decision made it permanent.